Gallery hours: Tues.-Sat. 10 a.m. – 5 p.m.
April 6 – 5-7 p.m. This show is a requirement for graduation with a degree in art or photography. New this year is the addition of photography senior students. It will feature BHSU students in their final semesters of study of these majors. Each student will have several pieces of work on display. 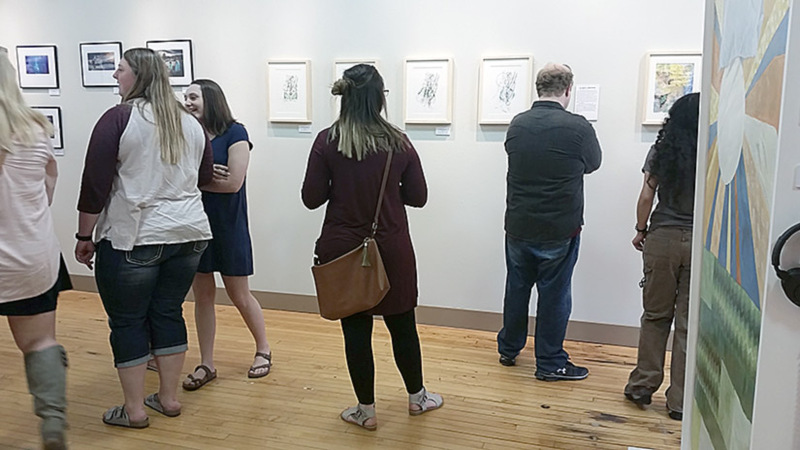 The reception takes place 5-7 p.m., Friday, April 6 in the Art Gallery. Refreshments and cash bar available for attendees. “We are happy to have the exhibition at The Matthews’ art gallery again this year. This space provides a fresh, professional experience for our students. We hope to continue this collaboration,” remarks BHSU’s art professor, Ann Porter. Many of the pieces of art are available for purchase. This entry was posted	on Wednesday, February 7th, 2018 at 4:25 pm	and is filed under Art Gallery, Art Gallery Shows & Events, News & Blog, Special Events, Upcoming Special Events. You can follow any responses to this entry through the RSS 2.0 feed. Both comments and pings are currently closed.